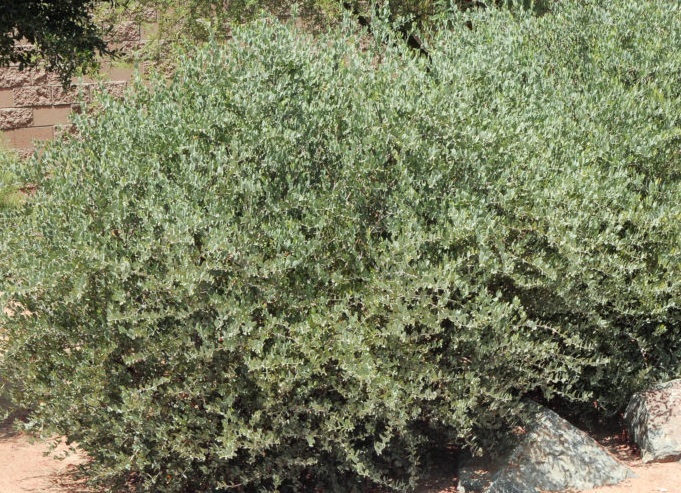 A broad, dense tree/shrub native to southwestern North America, growing 1 to 2 m. Seeds are the source of Jojoba oil/liquid wax. Traditionally used by Native Americans as a skin and hair salve and for preserving hides. Now used commercially in cosmetics and personal care products. Prefers light, coarse soils with good drainage. Tolerates salinity and nutrient poor soils. 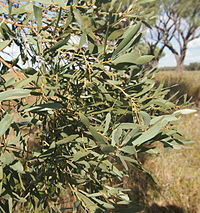 Used for desertification control. 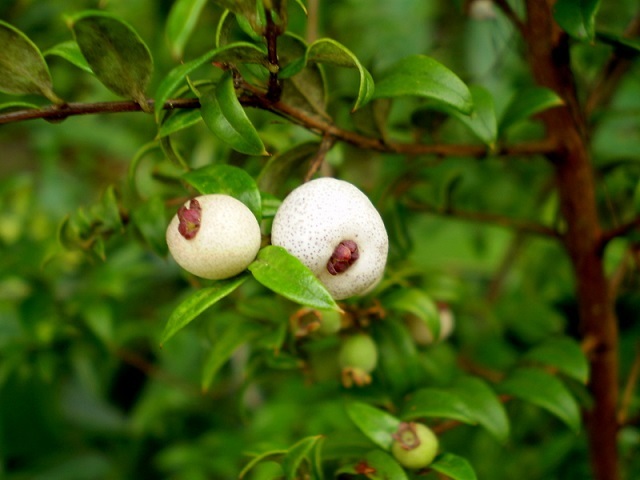 For the home garden it can be used as a dense, shaped hedge. 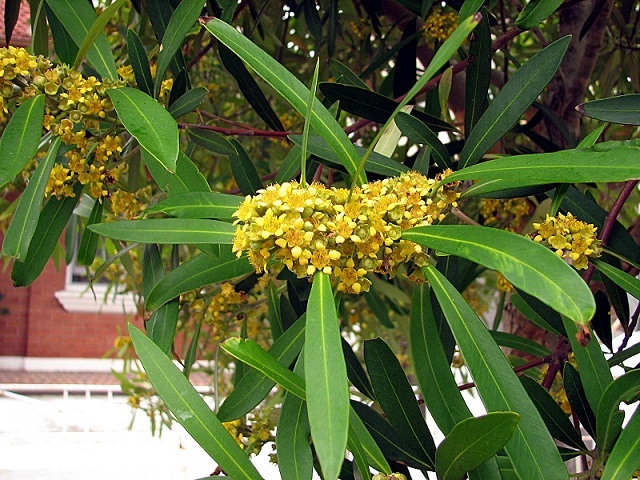 Endemic to the east coast of Australia from Brisbane to Gippsland region. Growing 5 to 15 m tall, found along creek banks and open rainforest. Suitable for large gardens and street trees (popular in Sydney). Flower clusters are cream to yellow/orange, January to February, attracting honeybees and native bees. Seeds germinate in three to four weeks, no pretreatment required. 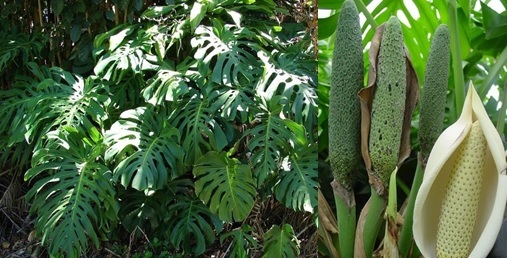 A rainforest tree of eastern Australia growing to 45 m. White flower racemes appear September to November followed by edible blue fruit January to April. Seeds are used as beads. 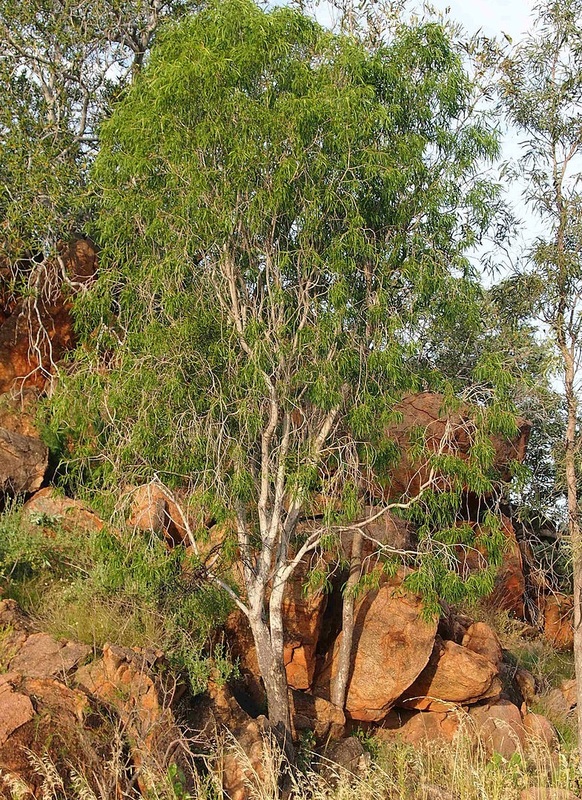 A dense, bushy rainforest tree with glossy green leaves, native to New South Wales, growing to 15 m. Clusters of white flowers are followed magenta fruit. 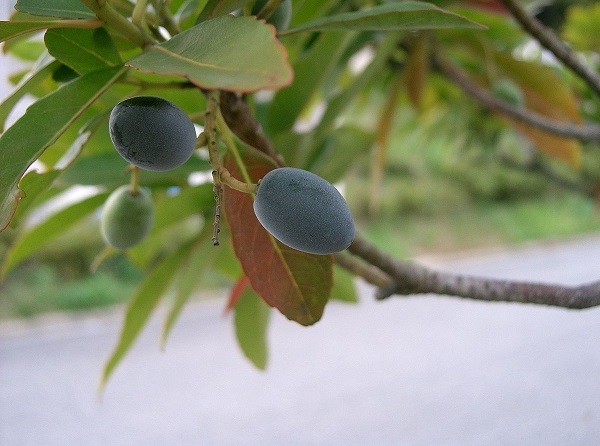 Fruit is edible with a sour apple flavour, eaten fresh or cooked as jam. Native to India. 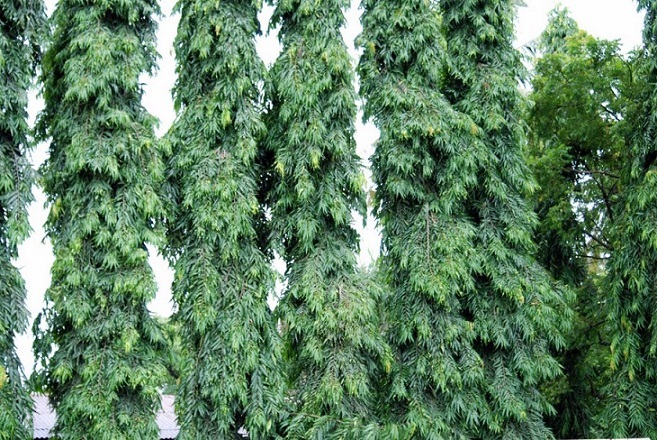 An columnar evergreen tree growing to 30 m tall with weeping, pendulous branches of dense, lush green foliage covering the tree. Star shaped pale green flowers appear in spring an only last a short time, followed by clusters of fruit, green turning purple/black. An interesting addition to large gardens, parks and street plantings. 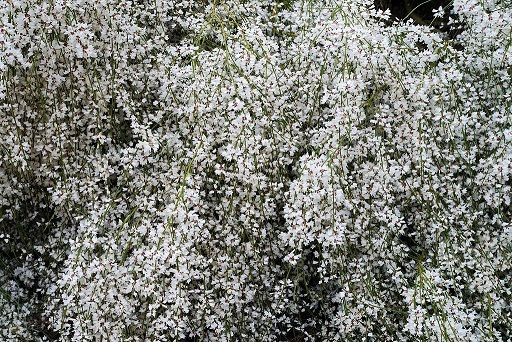 Tree growing to 4 m tall with a 3 m spread of arching branches covered in scented white pea-flowers in early spring through summer. Attracts butterflies and bees. A beautiful ornamental for gardens. Prefers full sun/part shade, frost tolerant. 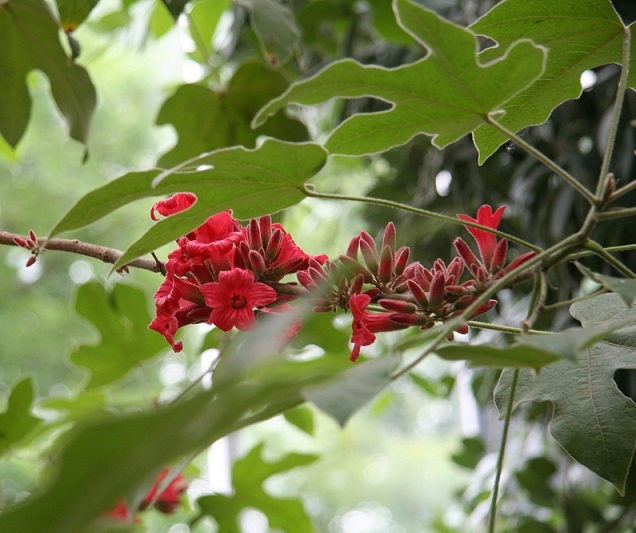 A small tree from northern India, fast growing, deciduous to 12 m tall. Prefers subtropical and tropical climates. 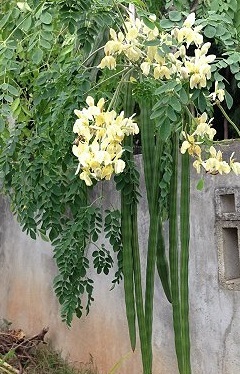 Flowers once a year April to July followed by long, hanging fruit pods. Leaves are used as a vegetable as they are highly nutrient rich, cooked and used like spinach or dried and ground for soups and sauces. Not frost tolerant. We are taking orders and inviting enquiries for these annual items coming up for collection. 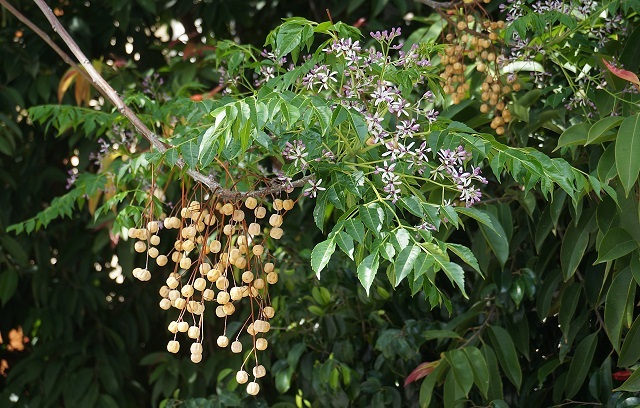 Native to tropical eastern Australia, a small deciduous tree growing 4 to 5 m with a spread of up to 4 m. Flowers spring through summer while tree is leafless. 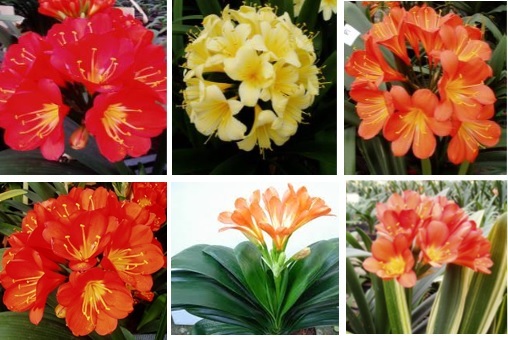 Flowers are pink to red and vary in size depending on regionality. Drough tolerant and frost tolerant. 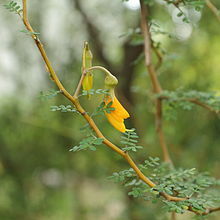 Sophora prostrata – inviting enquiries for this interesting plant from New Zealand, seeds available from fresh harvest. 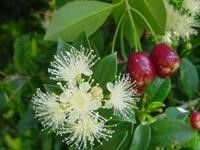 Native to New Zealand, a low growing shrub to 2 m high. Very small leaves along twisted branches with orange/yellow flowers. A very interesting specimen for indoor containers and bonsai. 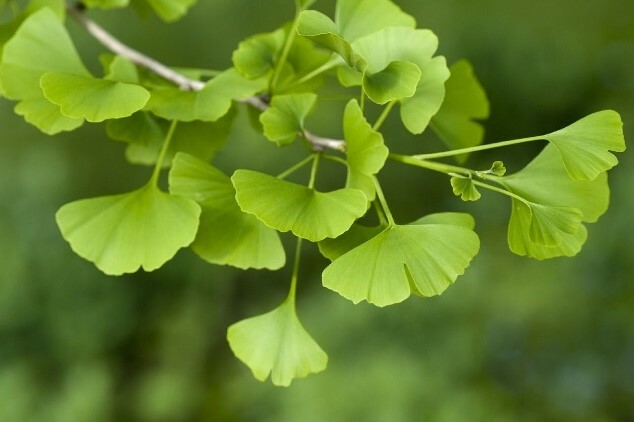 Native to southern California and Baha California in Mexico, consisting of a stemless cluster of long rigid leaves with saw-tooth edges and sharp points, up to 90 cm long and green/grey in colour. 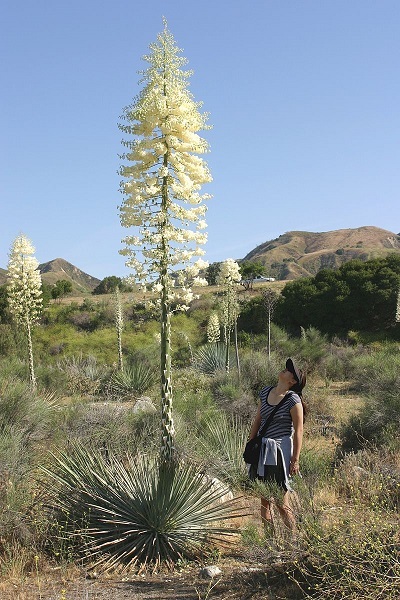 A single flowers spike appears at maturity around 5 years, fast-growing and reaching to 3 m tall, bearing hundreds of bell shaped white/purple flowers. Prices exclude gst, subject to crop.